Our stunning garden arches come in a range of styles and sizes and can be linked to create eye catching walkways. 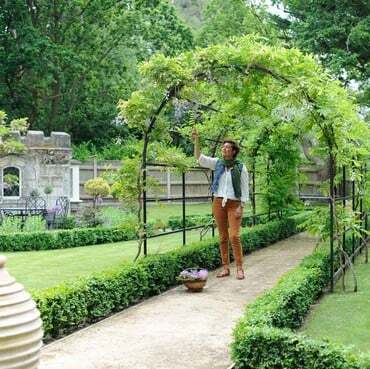 Pergolas utilise the same quality designs as the arches and when covered in climbing plants can create a breathtaking garden tunnel and walkway. This exclusive range of RHS endorsed garden arches and garden structures are designed and manufactured by us in the UK using the finest materials, and all come with 10 year guarantees. 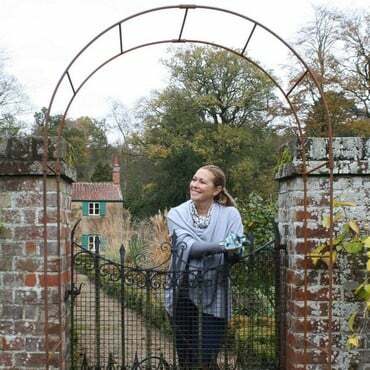 The 'New' Vintage Harrod Wire Arches are perfect for the cottage garden, kitchen garden or informal entrance way and will compliment your garden with a charming old-world style. Obelisks are also a fantastic addition to any garden, giving form and height and are perfect for climbing vegetable plants and will make an attractive focal point in your garden. Harrod steel obelisks are made from galvanised steel and powder coated and are available in Black and the 'New' Lichen Green and Silk Grey colours. 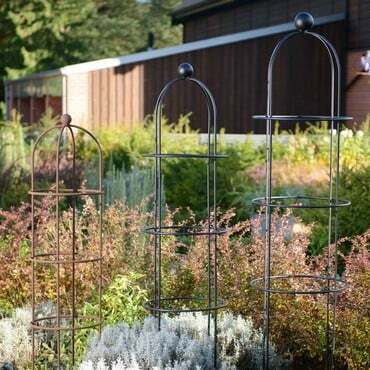 Harrod Vintage Wire Obelisks are available in four unique designs and 2 finishes - Natural Rust or Matt Black. Obelisks come with a 10 Year guarantee and are built to last using only top quality materials. So whether you are looking for a strong obelisk to support for your climbing vegetable plants, or you are planning to use one of our garden arches or pergolas to make a stunning feature. We have a solution that will not only look great, but last for years too!